The ’00’ Works have produced a number of small batches of hand built Ready to Run locomotives including a variety of Southern classes. They also produced, before Hornby, a brass Devon Belle Observation car which graces Fisherton Sarum. The ’00’works have announced that they are to produce seven of versions of the ex London Brighton and South Coast (LBSC) Marsh designed I3 Class. As I described in my Talking Stock #25 Marsh got one atlantic 4-4-2 tank right with the I3 post the I3 tanks were very successful and gained an excellent reputation especially with respect to fuel economy. When electrification of the Brighton lines started to displace them they found new jobs elsewhere. Having been built initially to the more generous Brighton loading gauge they were cut down slightly by reducing the height of the boiler mountings and rounding off of the cab roofs to work on the Eastern section, they subsequently worked further afield. 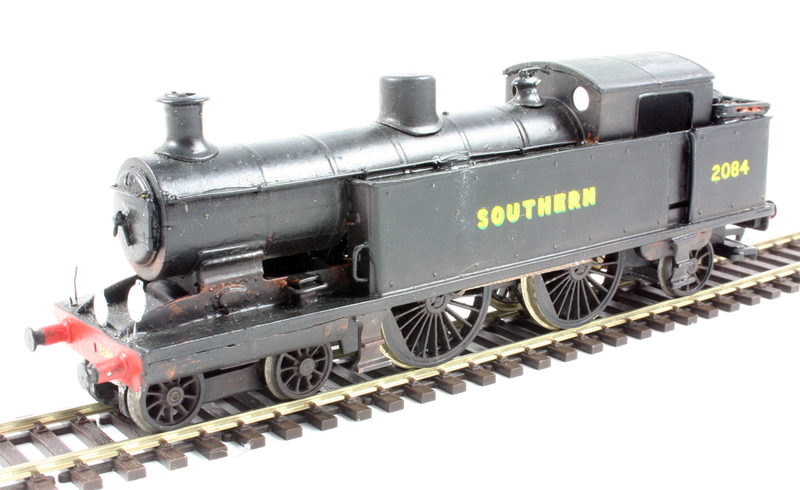 Past Southern locomotive produced by the ’00’ Works, some of which have since been produced or announced by the major manufacturers, has included: N15, 700, C, E4 and Adams Radial classes. The level of detail of these models has steadily improved over time, although is still not as high as we seem from the likes of Hornby or Bachmann, they have in the past filled gaps in the market and they should be applauded for taking on another LBSC / Southern prototype.